Each year in February, Cooper Union honors the accomplishments of its alumni in an annual Founder's Day award celebration. 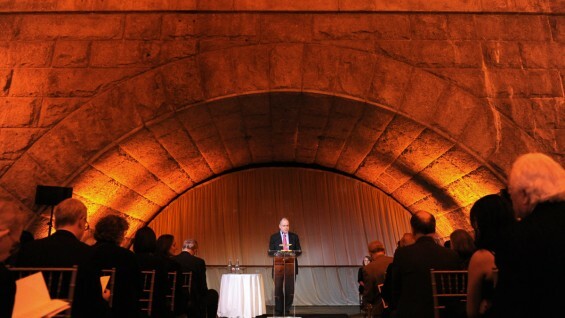 This year the award ceremony took place at the historic Guasatvino’s in Manhattan. 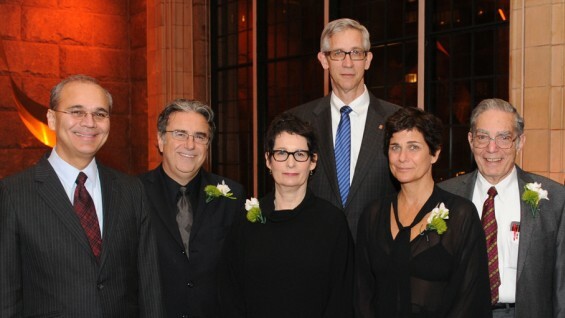 Situated under the arches of the Ed Koch Queensboro Bridge, Guastavino’s features a dramatic landmark-designated interior in which we honored our four alumni of the year. 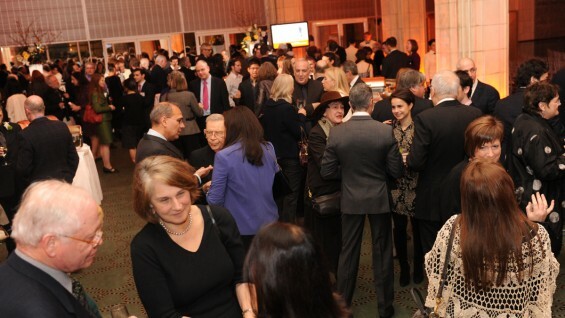 Cocktails and hors d'oeuvres were served to a crowd of alumni and friends as the institution honored five leaders in their respective fields. 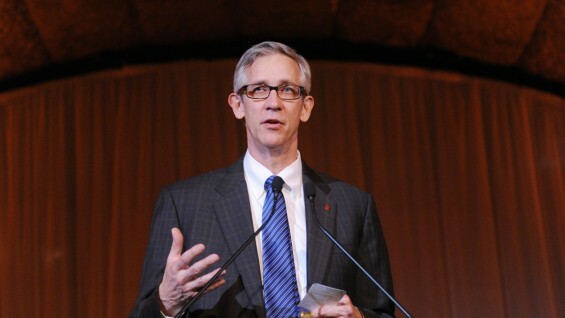 John Leeper (AR’85) received the Alumnus of the Year award, an honor designated for outstanding dedication and commitment to both the Alumni Association and Cooper Union. In his professional life, Mr. Leeper is the Project Executive for the Thurgood Marshall Courthouse Renovation Project. He is Senior Vice President at Lend Lease (US) Construction LMB Inc. The Gano Dunn Award for Engineering this year goes to Morton Lippmann (ChE’54), a Professor in the Department of Environmental Medicine at the NYU School of Medicine. Dr. Lippmann is a leader in the fields of human exposure assessment and air pollution health effects, and has authored or co-authored more than 330 research articles as well as two books. 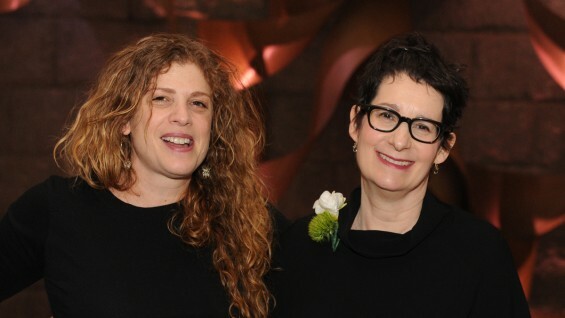 The Augustus Saint-Gaudens Award for Art goes to Carin Goldberg (A’75), an educator, consultant and designer whose work can be found in several permanent museum collections around the world. And finally, the John Q. Hejduk Award for Architecture goes to two recipients this year. 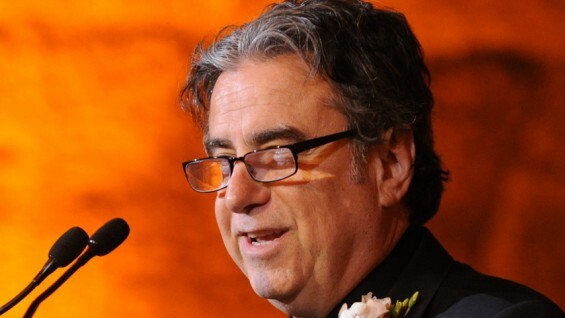 The first is Lee H. Skolnick (AR’79), a widely recognized architect and designer who sits on the boards of various arts and design organizations and has published and lectured internationally on the topic of architecture and design. The second is being posthumously presented to Ralph Lerner (AR'74), an architect and former faculty of Princeton, Harvard, the University of Westminster, Polytechnic of Central London and the University of Virginia. Mr. Lerner's widow Lisa Fischetti accepted the award. 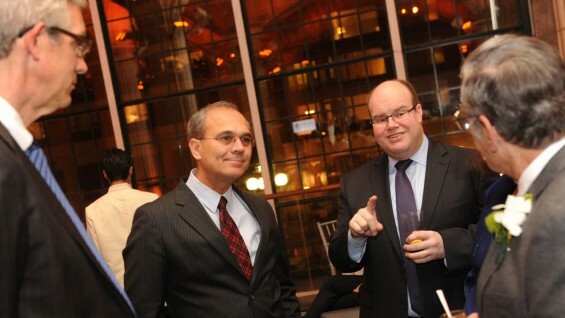 Above: Alumni association Presdient Peter Cafiero (CE'83).